When Henry Aldridge & Son announces that the upcoming sale is unusual, we believe them. It’s time for the auction of the estate of the late collector David Gainsborough Roberts. On Saturday, 18 August, Henry Aldridge & Son are auctioning off selected items from the estate of the late David Gainsborough Roberts - one of Europe’s leading collectors of the eclectic and unusual. We want to show you some of the highlights. 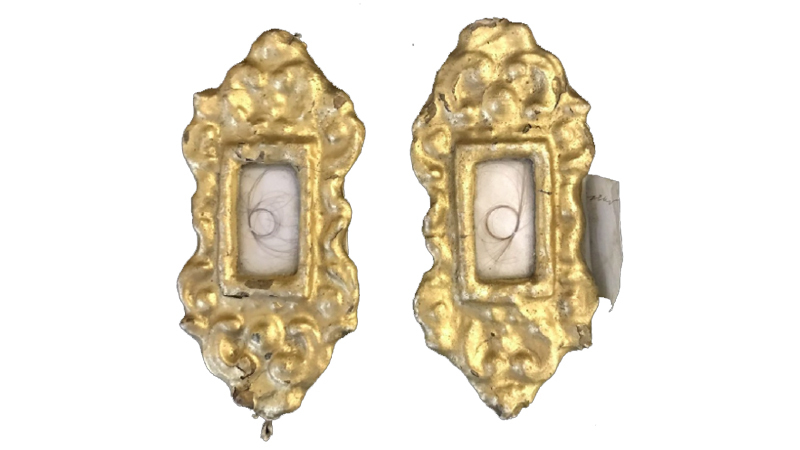 We start with a couple of pieces of history: first, we have two early 19th century locket frames, but these aren’t just any pair of lockets. Each one composite frame contains a lock of hair and a little note. With an estimate between £700-1,200, this small pieceof French history is indeed an unusual collector’s item. The victory at Trafalgar finally stopped Napoleon’s invasion and gave Great Britain control over the sea, and here the two great commanders Napoleon and Lord Nelson meet again - at an auction at Henry Aldridge & Son. Apart from this the auction of Gainsborough Roberts’ estate also includes quite a bit of film and cinema memorabilia, for example, Audrey Hepburn’s 1935 silver enamel ladies compact from Dublin. The small compact is of circular form with the enamelled cover in shades of green. 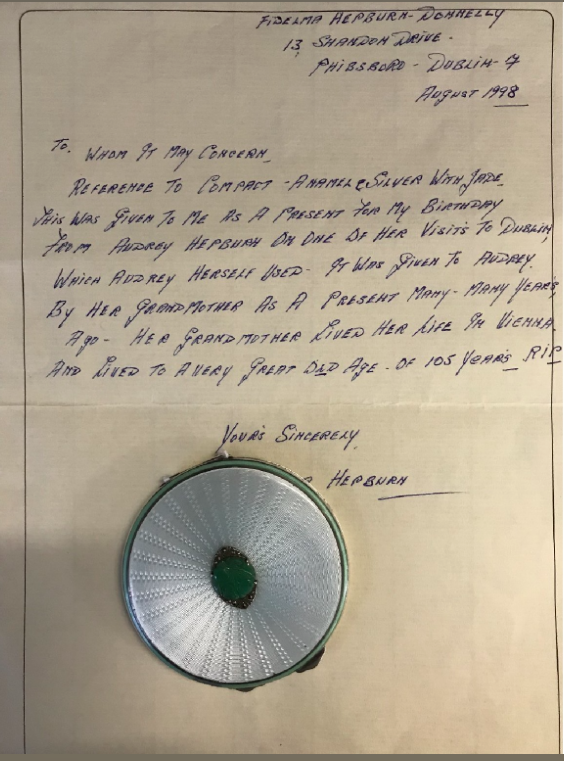 The lot is accompanied by a letter from the original vendor, Audrey Hepburn's stepmother, stating that the compact was given to her as a birthday present from the Hollywood legend during one of her visits to Dublin. The compact has an estimate between £1,500-2,500. 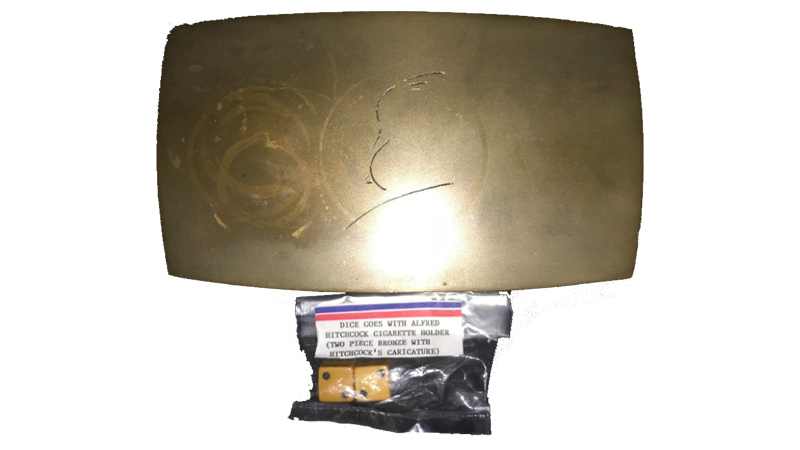 Another highlight is a bronze cigarette box previously owned by Alfred Hitchcock. The solid box features the movie creator’s famous signatory image on the removable cover. 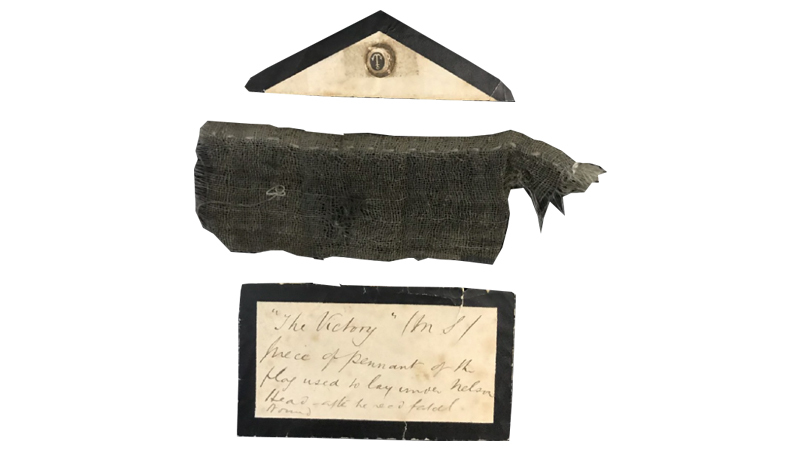 The inside is divided into two compartments, one containing a pair of dice, put there by Mr Hitchcock himself. The cigarette box has an estimate between £1,200-1,800. Find the entire Henry Aldridge & Son catalogue here!